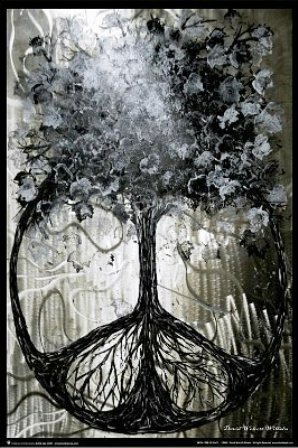 Designed by artist David Wolcott Wilhelm , the Tree of Peace Poster measures approximately 24" x 36". This art poster print would look great framed on your wall. I have this poster. It's great. I framed it... I wish I had found it here instead of where I did buy it-- it's more reasonably priced here!